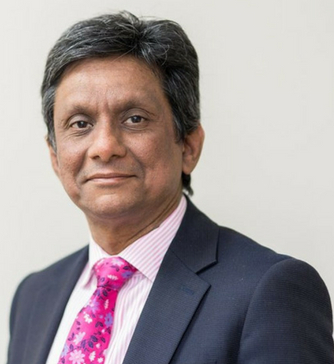 Debashis Ghosh is a Consultant Breast Surgeon based at The Royal Free London Breast Unit, considered one of the leading breast units in the world. He is actively involved in breast surgery research including the pioneering use of a portable gamma camera for sentinel node biopsies. As a member of the Breast Team of the Royal Free and UCL medical School, he is involved in trials in the use of intraoperative radiothearapy, radioactive iodine and seed localisation. He is currently working on the use of fluoroscence in cancer surgery. He is the co-author, chapter on breast and oncoplastic surgery, Kirk’s Operative Surgery. Debashis Ghosh graduated from Grant Medical College, Bombay University, India in 1990 with an MBBS (1st class honours). Further surgical training and qualifications include Higher Specialist Training in Breast & Oncoplastic Surgery at University Hospitals of Leicester and University Hospitals, Cambridge; post-CCT Fellowship at the Royal Free Hospital London; and Visiting Fellow at The Paris Breast Institute: special techniques in oncoplastic surgery.